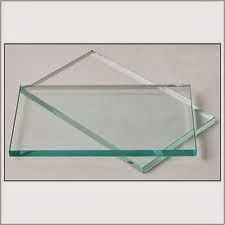 Glass is a very essential thing for making dressing table, show-case, dining table, almirah, door and windows etc. It needs glasses of various designs and sizes for making these furniture. You can cut in different sizes with the Glass Cutting Machine and can supply it to the local market. At first you have to buy glasses from market. It is available in cheap price in the market of China bazaar and behind the Metro Cinema in Dharkatala in Kolkata. Put the on the table and wash it with kerosene oil. There is a wheel in the Glass Cutting Machine. Now place the glass on the indicated place of the Glass Cutting Machine and set the scale. Now start the machine and cutting wheel will be pressed gradually and it will start cutting the glass. At last you have use grinding machine to make it smooth. It needs 1 hp motor and 220 volt to operate the machine. The price of the Glass Cutting Machine (including motor) is approximately Rs.50,000 and the price of the Grinding Machine (including motor) is approximately Rs.9,000.